Interestingly, this statement didn’t occur to me when I was in the midst of an assessment project, teaching class, facilitating a workshop, or consulting with a division of student affairs. It occurred to me in a grocery store. Yes, in the deli aisle waiting on maple and brown sugar ham, to be exact. I won’t bore you with the details here, but you can read more regarding this “evaluative epiphany” here. In this post, I don’t want to talk about the statement itself, but rather what it represents. Recently, I echoed this refrain during a webinar sponsored by ACPA’s Commission for Assessment and Evaluation. The topic was “Assessing Cultures of Assessment.” (You can access the webinar here by entering your name and email). At the outset, I suggested that this statement, “Assessment isn’t an activity. It’s a state of mind,” was a definitive sign that a culture of assessment existed in an organization. When assessment is a state of mind, it is infused into every aspect of individual or organizational practice including planning, implementation, and – of course – evaluation. At this stage, assessment becomes an unconscious, embedded element of everyday work. Once awakened to the both the necessity and benefit of engaging in assessment, people realized they need to it, but some are still not sure how to do it. This is conscious incompetence. The first step is to identify the actual skills and knowledge needed to perform assessment. The 2nd Edition of the ACPA/NASPA Professional Competencies (released in August 2015) provides a framework for skill and knowledge development regarding assessment, evaluation, and research. A great way to develop assessment skills is to seek out books, workshops, and other resources to improve skill and knowledge. Fortunately, more and more resources are available. 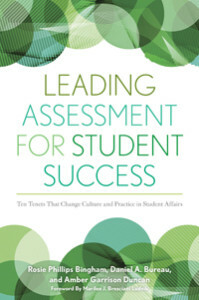 There are four new student affairs assessment books coming out this academic year. How exciting! One centers on leading assessment for student success and the other focuses on coordinating divisional assessment. Two more covering more general assessment practice will come out in early March. Workshops and conferences are another way to build assessment competence. Each summer, ACPA holds its Student Affairs Assessment Institute and NASPA sponsors its Assessment and Persistence Conference. Both associations have special interest groups regarding assessment for networking and professional development. (ACPA’s Commission for Assessment and Evaluation and NASPA’s Assessment, Evaluation, and Research Knowledge Community). In addition, many master’s level preparation programs have assessment courses to help students move from this stage of competence to the next. As I mentioned at the beginning of this post, the statement “Assessment isn’t an activity. It’s a state of mind” came to me in a grocery store. In the deli aisle, I recognized that I was shopping in a way that mirrored the assessment process. My goal was to be both effective and efficient and those goals shaped by actions from planning to execution. Assessment had become so unconscious that it was integrated into other parts of my life. While, you may not be as much of a geek as me and want assessment to infiltrate your personal life, I do hope you develop your assessment skill and knowledge to the point that you are unconsciously competent. Gavin is a college student educator with a reputation as an organizer, collaborator, and catalyst for educational change. His professional mission is to generate applied scholarship, bridge theory to practice, create systems and processes, and teach higher education professionals to foster college student learning, development, and success. 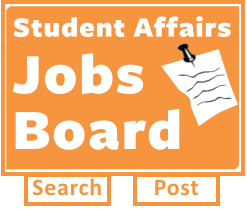 He has advanced this mission during his 20+ years in higher education in positions including professor, assessment practitioner, and student affairs administrator. In his current position as Director of the Master of Higher Education Administration and Doctorate of Education Programs at New England College, Gavin helps prepare the next generation of professionals to improve educational organizations. As President of ACPA – College Student Educators International from 2015-2016, he led the premiere higher education association centered on fostering college student learning and development. As President Elect of the Council for the Advancement of Standards in Higher Education and founder of Student Affairs Assessment Leaders, Gavin helps further a national agenda of accountability and continuous improvement of higher education programs and services. In addition to his practitioner work, Gavin’s scholarship includes two recent books on student affairs assessment. 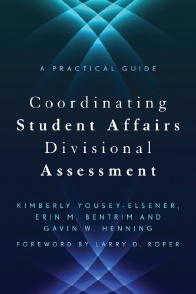 He is co-editor of Coordinating Divisional Student Affairs Assessment: A Practical Guide and co-author of Student Affairs Assessment: Theory to Practice. He has been recognized for his contributions to student affairs and higher education by receiving ACPA’s Annuit Coeptis award and Diamond Honoree awards. Gavin holds a Doctor of Philosophy degree in Education Leadership and Policy Studies and a Master of Arts degree in Sociology, both from the University of New Hampshire as well as a Master of Arts degree in College and University Administration and a Bachelor of Science degree in Psychology and Sociology from Michigan State University.